The Police Headquarters Jammu And Kashmir, Is Appointing Eligible People To The Constable In Two Border Battalion Of Jammu And Kashmir Each. So Interested People Can Apply For This Job Through Online Application Mode, Within The Given Time Period. 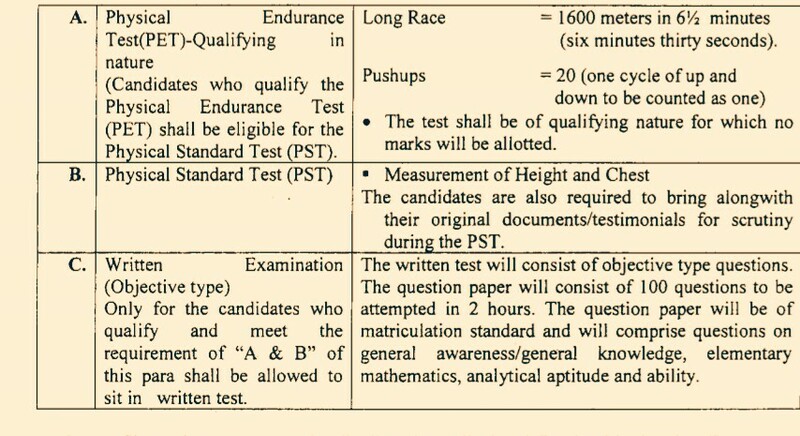 Constable In Border Battalion Of J&K Police →1,350 Online Vacancies, Kindly Do Check Out The Image's Below For Age Limit, Educational Qualifications, Selection Process (Physical Endurance Test/Physical Standard Test/Written Exam). B. 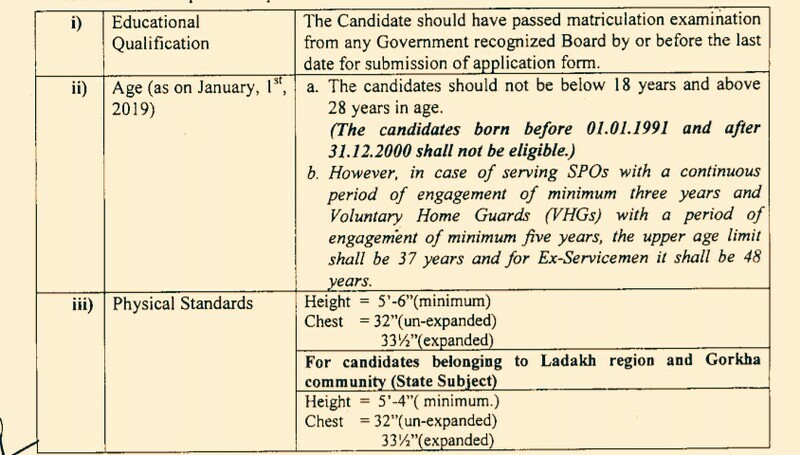 Eligible Criteria For Constable Vacancy In Jammu & Kashmir Police Recruitment 2019. Online Application/Examination Fee →₹300 Mode Of Payment Is Online/Challan. Last Date For Online Application Form Submission →30 Days After The Activation Of The Online Link, We Will Update It As Soon As The J&K Police Updates It. For More Info →The Official Website Of J&K Police. Now Apply For J&K Police Constable Jobs Vacancies 2019.